Tesla’s semi electric truck sports sleek looks, does its performance live up to them? 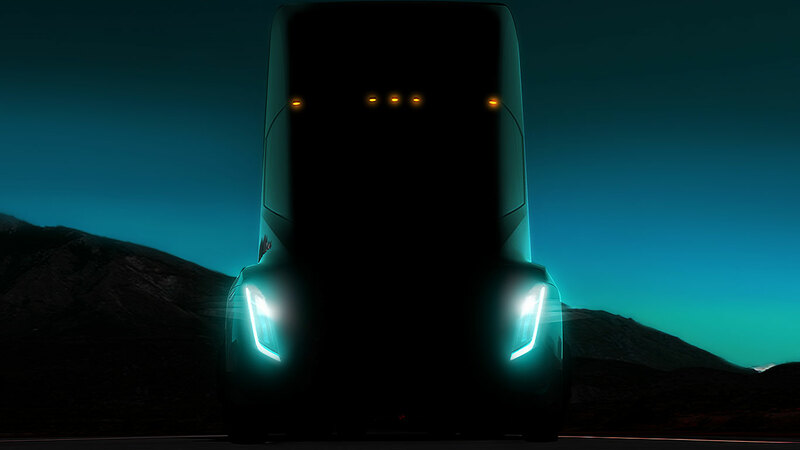 Elon Musk unveiled Telsa’s Semi Truck last night. In addition to its wind-cheating form, Musk says it out performs diesels across the board. Musk claims that the Tesla truck has a better drag co-efficient than a Bugatti Chiron, a super car with a drag co-efficient of 3.8, while the Tesla has 3.6. This is one of the reasons Musk says the Tesla Semi is more economical than a diesel truck. When the Tesla is operating in convoys, he says it is even more economical, beating rail. If the Tesla Semi lives up to these claims, it will be an impressive vehicle. And if the economic claims hold up, I expect it will trigger a major shift from gas-powered freight trucks to electric, at least for short haul lanes. When the truck hits the road, and has to perform in real world conditions, we’ll find out just how good it is. While faster more efficient forms of transportation are a huge advantage to businesses trying to cut costs and improve service to customers, we shouldn’t forget that the whole purpose of transportation is to move the goods to where they are wanted. So while companies look to better forms of transportation, they should pay equal attention, if not more, to managing their supply networks. Otherwise they’ll just be moving goods to the wrong place, faster. Video on Elon Musk unveiling the Tesla Electric Semi truck. Next Post:What Can a Supply Chain Control Tower Do for You?